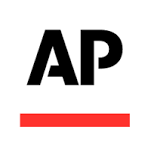 NEW YORK (AP) — The thaw in U.S.-Cuba relations has many small and medium-sized companies thinking about doing business with the nation that has largely been off-limits for more than half a century. Most companies, however, will have to wait. The Obama administration has taken steps that allow companies in the travel and telecommunications industries to work with Cuba, but most exports and other business contacts remain prohibited under an embargo Congress passed in 1960 in response to Communist rule in Cuba. Because of the embargo, the U.S. exported only $180 million in goods to Cuba last year, most of it agricultural products and medicine. By comparison, exports to nearby El Salvador totaled nearly $3.3 billion. Only Congress can lift the embargo, and it’s not known when that might happen — some lawmakers are against ending it because of charges of human rights violations by the Castro government. Greg Geronemus’ travel company, smarTours, expects to run 45 tours to Cuba this year, most of them leaving from Miami. He began planning to increase his Cuba business two years ago, when he ran 15; Geronemus anticipated that the administration was moving toward a normalization of U.S.-Cuba relations. “There is an unbelievable appetite for travel,” says Geronemus, whose company is based in New York. Because of the embargo, Geronemus works with a Cuba-based company, HavanaTur, and an intermediary company in Europe to handle reservations, itineraries and payments. Trips to Cuba must be highly structured under U.S. government regulations, with itineraries that show substantial interactions with Cubans. For example: a visit with an artist or a tour of a community revitalization project. “It is still so cumbersome and it will be for a while,” Geronemus says. Another unknown is what requirements the Cuban government, which controls most of the businesses in the country, might impose on U.S. companies that want to sell goods and services. Maria Contreras-Sweet, head of the U.S. Small Business Administration, found during a recent visit to Cuba that officials and business leaders are interested in building a relationship with U.S. companies, but they also want Americans to understand that Cuba, which doesn’t have a free market, has a different culture and a different way of doing business. “There’s this great desire but also some apprehension. And to some extent, they’re overwhelmed by the U.S.,” Contreras-Sweet says. Small and medium-sized businesses will be competing with big U.S. companies that want to trade with Cuba, but Contreras-Sweet expects smaller players will find opportunities with Cuban counterparts. In recent years, Cuba has started allowing people like small restaurant owners, real estate agents, house painters and home builders to work independently of the government. As relations between the U.S. and the Castro government expand, the Cuban people are expected to demand a better standard of living, and that can create opportunities for American businesses, says Ronald Recardo, managing partner with Catalyst Consulting Group in Shelton, Connecticut. His company hopes to do business with Cuban companies. “There’s a lot of people clamoring for something beyond a subsistence level for their families,” Recardo says. Companies that the U.S. government already allows to sell to Cuba include technology and telecom businesses whose products can improve communications to, from and inside the country. Revel Systems, the maker of software for retailers and restaurants, has started selling its products to small Cuban customers. “They’re dying for technology,” says Chris Ciabarra, a co-founder of the San Francisco-based company. Revel makes software that allows tablet computers to be used as cash registers. The company has sold its products to a dozen Cuban customers who found Revel by searching the Internet. Revel delivered the software to them using an app. Ciabarra expects Revel’s Cuban business to grow because the company tends to get new customers through referrals from existing clients. “It is going to be an up-and-coming market,” he says. Cuba already has a tech-savvy workforce that wants to work with U.S. companies, says Faquiry Diaz Cala, the CEO of Tres Mares Group, a private equity firm based in Miami. These workers are well-educated in areas like web development and programming, Diaz says. Lori Hirons believes that when the U.S. embargo is lifted she’ll find strong demand for her resort clothing among Cuban women. Ninety percent of sales for her company, Island Contessa, come from other Caribbean markets, including St. Croix in the U.S. Virgin islands, where she is located. “As I read about Cuba, the people have interest in all things American,” Hirons says. While she waits to see what Congress does, she’s learning everything she can about Cuba. One unknown that concerns her is regulations Cuba might impose that could make trade difficult, and perhaps impossible for her. “It’s going to depend on how many hurdles there are,” she says. One company already dealing with Cuban government restrictions is Global Rescue, a medical evacuation company that helps people who become ill during overseas trips. The medevac planes the company uses must get clearance from Cuba officials to fly over the country for rescues in a nearby country, says Dan Richards, CEO of the Boston-based company.